Over the past 15 years, CII has consistently focused on infrastructure investments despite myriads challenges. Such efforts are being gradually paid off: currently, CII is the only private company with a solid track record and a diverse portfolio of infrastructure projects in Vietnam. The Company’s credentials, experience, and efficient operating model have laid a firm foundation for future’s sustainable growth. Transportation infrastructure developments market in Vietnam is highly potential. Compared to that of other countries in the region, Vietnam’s infrastructure system is still the least developed. The ratio of asphalt roads length to total roads length in Vietnam is currently 66% – a contrast to Singapore’s 100%. The ratio of highways length to asphalt roads length is 0.06% – compared to Singapore’s 4.7%. Roads that are 10m wide and above account for 23% of total roads length. Average roads length / person is only 2.4km. Furthermore, Vietnam’s roads quality is ranked 117th out of 139 countries on the list. Such situation explains for the huge need for transportation infrastructure development in Vietnam. Overall, investors in infrastructure projects enjoy high IRR, low risk, and cash flow with safety level similar to bonds, while able to enjoy additional gains when there are positive changes in the projects’ cash flow valuation. Water supply and wastewater treatment market in Vietnam is also highly potential. Due to rapid urbanization, only 60% urban population have access to clean water. Furthermore, even though there is 1.5 billion m3 of untreated waste water discharged directly into rivers and canals every year, only 7% waste water is properly treated. There exists urgent need to develop water infrastructure that allows increased access to clean water and improve water ecological environment. 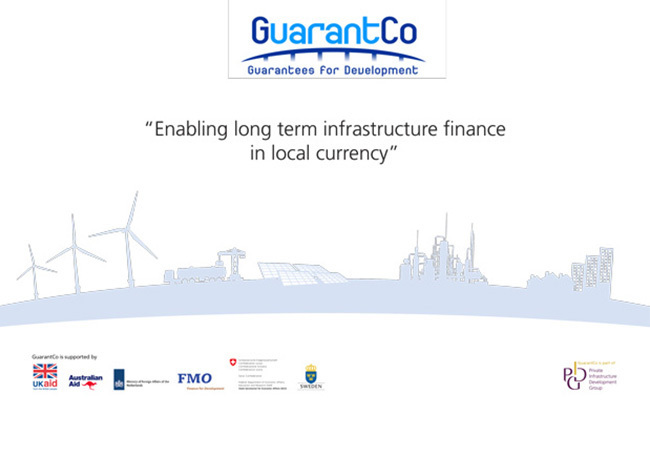 The Company aims to become a leading infrastructure development investment group. Regarding projects scope, the Company will first focus on transportation infrastructure, clean water provision, and water distribution networks. Later on, it will expand to relevant areas such as wastewater treatment, parking lots development, garbage treatment, etc. Regarding financials, the Company will flexibly deploy different fundraising channels and investment structures, such as: Build and Transfer contracts (BT); toll collection rights (BOT); advanced investment to receive transfer of toll collection rights; sale of shares of BOT companies; financial leverage e.g. sale of future cash flows from toll collection to banks or insurance companies, etc. ; subsidiaries’ IPO; additional shares offering. In 2013, after 12 years in operation, the Company has created a relatively solid foundation for growth. However, with forecasted high growth rate and rapidly diversifying project portfolio, the Management Team realized that the Company’s previous operating model is no longer appropriate, leading to various difficulties related to operations, accounting, asset valuation, and fundraising. Shareholders and investors faced challenges in assessing the company’s overall performance and forecasting future results to come up with appropriate investment strategy. Strategic partners and investors faced challenges in separating, monitoring, and evaluating the investment cash flows from different sectors or projects. CII E & C: the result of restructuring CII’s ownership in 565 Construction Company. CII Service: the result of establishing Infrastructure Service One Member Limited Company. CII Land: expected to be founded in 2016. Member companies’ mission: manage assigned projects, deploy capital effectively so as to create added value for CII Group, improve capabilities in assigned areas, connect with other member companies to optimally deploy CII Group’s resources.